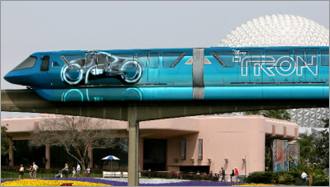 Cultural Compulsive Disorder: Why Don't Major Cities Like NYC Follow The Genius Marketing Ideas of Disney??? Why Don't Major Cities Like NYC Follow The Genius Marketing Ideas of Disney??? Boston does this. At least for the green line. it is the only line that travels above ground.